The chief executive of Coleg Cambria will step down from the role later this year. David Jones OBE oversaw the merger of Deeside and Yale colleges in 2013 and has led the institution through an unprecedented period of success. Cambria’s board of governors thanked him for his efforts and achievements and said he will be “sorely missed”. Coleg Cambria has grown year on year, breaking academic records, raising hundreds of thousands of pounds for charity, driving economic growth in north east Wales and forming partnerships with global giants of business and industry. 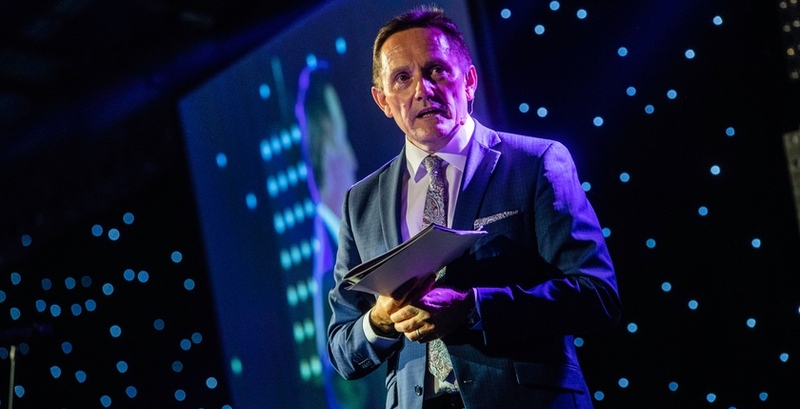 Mr Jones’ leadership was rewarded in 2017 at the annual TES (formerly Times Educational Supplement) Awards, when he was named UK FE leader of the Year. In recent years Flintshire, Denbighshire and Wrexham have seen more than £60m of new buildings – pushing the envelope of design, innovation, conservation and creativity. This will continue with the completion of the £22m Yale redevelopment in the town centre in September 2020, with David securing Welsh Government support for the project. 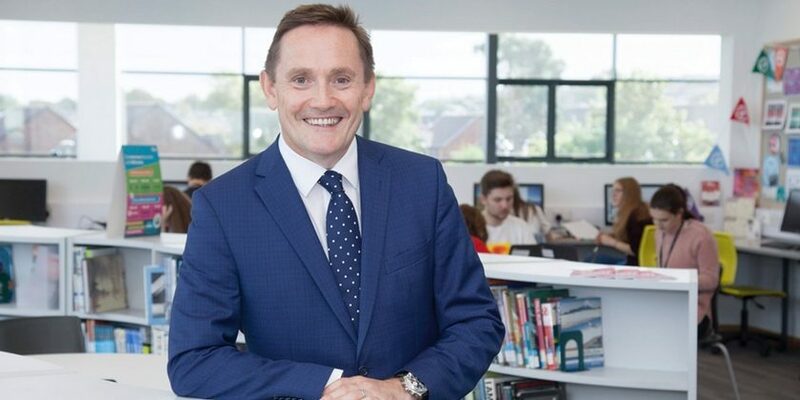 The 57-year-old is looking forward to a new start and bringing his wealth of skills and experience to future roles having made a huge impact on education, training and apprenticeships in Wales and beyond. “It is with a heavy heart that I announce I will be leaving Coleg Cambria, but I’m looking forward to the adventures that lie ahead,” he said. “It has been an absolute pleasure to lead Cambria having previously done the same at Deeside College, and we have achieved so much together. “The academic side of the college is crucial, as are the many links we have with industry, but what’s most important for me is the care and support we give to students, staff and our local community. “That’s what I’ve always been passionate about, and that’s why I – and everyone at Cambria – strives for better every year. Mr Jones added: “This Autumn we will begin to ‘Re-Vision’ and start a comprehensive process to develop a new Strategic Plan which has to be delivered from 2020 to 2025. “There is still a lot of work to do, and I will be with the college until December, so there’s no time to sit back and reflect. “All I know is I am incredibly proud to have presided over three mergers that brought together the four colleges in north east Wales, and of course being the first Principal and Chief Executive of Coleg Cambria. Mr Jones has enjoyed a 20-year career at Deeside and now Cambria, leading the college to become one of the top FE, work-based learning and apprenticeship providers in the UK. He is also the chair of both the North Wales CBI and Deeside Enterprise Zone. Brought up in the village of Ciliau Aeron in Ceredigion, one of his personal highlights was receiving an OBE from the Prince of Wales at Buckingham Palace in 2015, for services to further education in north east Wales. Mr Jones went on to gain a BSc in electronics engineering from the University of Glamorgan, a PGCE from the University of Wales, Cardiff, and an MBA from Warwick Business School before beginning his career in education in 1987. In 2013 Mr Jones became Principal of Coleg Cambria, following the “challenging” merger of Deeside and Yale. The merger has been seen as a success, with Cambria now pumping £400m a year into the local economy and employing over 1,000 people. The college is a major player at the annual WorldSkills competition and recently received the best work-based learning inspection in Wales to date from Estyn. John Clutton, chair of Governors at Coleg Cambria, paid tribute to Mr Jones, stating that his influence and achievements are immeasurable. “The governing body would like to thank David for the leadership, friendship and vision he has shown as Principal and now Chief Executive of Cambria,” said Mr Clutton. “His legacy will be the outstanding success that students of the college have achieved locally, nationally and internationally during his tenure.